You’ll hear people say both that Seattle is a safe city, and that it’s got its dangerous side. In fact, both are true. While Seattle gets a pretty bum rap from NeighborhoodScout.com (which states that Seattle is only safer than 2% of other cities surveyed! ), the fact is that you won’t feel in danger walking around most parts of Seattle. Especially if you're visiting the city and sticking to populated areas, you likely won't experience anything amiss. In fact, Seattle has ranked as one of the safest cities for walkers. Seattle even has its own superhero helping to fight crime in the city. 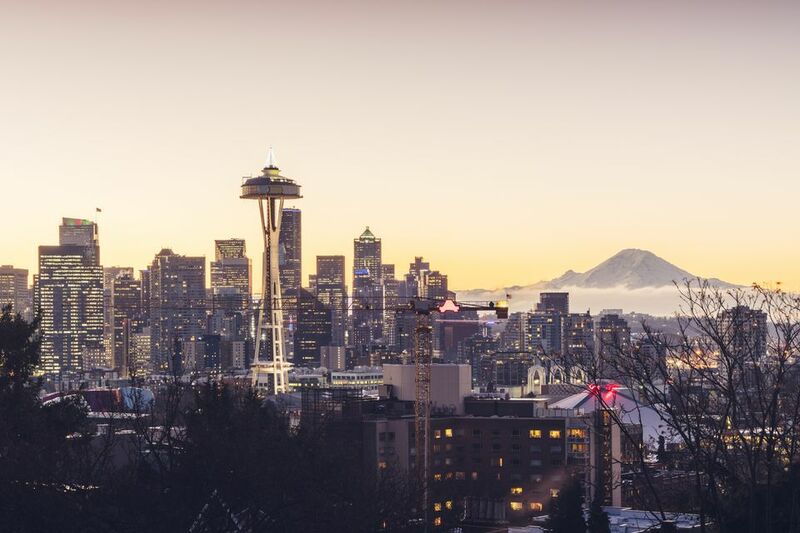 Yet, also as with most cities, it still pays to be aware of your surroundings, know a few areas you should stay away from if you’re visiting the city, and keep in mind a few tips and tricks to staying safe in Seattle. Learn more about Seattle’s crime rate on Seattle.gov. If you have need of the police, call 911 for emergencies and 206-625-5011 for non-emergencies. Most areas of Seattle, especially areas with tourist attractions, are safe to walk around, but some are wise to avoid if you’re not familiar with the area, or at least be on alert if you need to go there after dark. These include: the area around the King County Courthouse (James and 3rd) and many areas in Pioneer Square (stick to the touristy parts near the Underground Tour or visit during Art Walk), Rainier Valley, and the areas between Pike and Pine, mostly between Second and Fifth. Belltown can also be an edgy place, especially after dark. Most of these areas are on the fringes of the downtown core. More areas with the most violent crimes courtesy of Kiro 7 TV. Like most cities, Seattle’s safest areas are outside of the downtown core and tend to be residential areas or residential with light commercial. Among the safest neighborhoods are Sunset Hill, Ballard, Magnolia, Alki, Magnolia and Wallingford. NeighborhoodScout has a great map of areas of Seattle color coded by crime stats. Dark blue areas are safer. Lighter areas have higher crime rates. You’re much more likely to experience property crime in Seattle than violent crime. The city periodically has a rash of car break ins in parking garages or things along those lines. Lock your car doors. Don’t leave valuables visible inside your car. If you’re parking for the day, look for well-lit lots or parking spaces. If the parking space has low visibility for any reason, that’s all the more chance someone might feel comfortable breaking into your car while you’re out for the day. Likewise, once you’re out for the day, don’t leave your purse or wallet sitting around—keep them on you, zipped closed, in your pockets, etc. If you're riding a bike, make sure you have a good lock and know how to use it. While random property crime does happen, often simple common sense rules can keep your car and other property safe. Seattle does have plenty of homeless people and panhandlers, but most of them are not dangerous and will leave you alone. If someone does approach you for money, it’s okay to decline. If someone hassles you for money or gets aggressive, this is illegal so you can report them to the police either by calling the Seattle Police non-emergency number at 206-625-5011. Whether you’re visiting the city or have lived here your whole life, be aware of your surroundings and stay in well-populated areas unless you're familiar with the area. Seattle has a lot of small alleys cutting behind or between buildings. It’s best to stay on well-lit sidewalks with the rest of humanity than taking a short cut through an isolated area. Don’t flash valuables or large amounts of cash around. Don’t walk alone at night. The usual rules of common-sense safety apply in Seattle as they apply anywhere.